Summertime eating means fresh eats and frozen drinks, right? Well how about some delicious frozen fruit gems that are low on calories and big on taste? 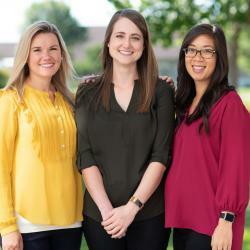 We recently dished about delicious frozen treats at on our Facebook page with our team of registered dietitians. We also have a recipe for some amazing Chocolate Banana pops. 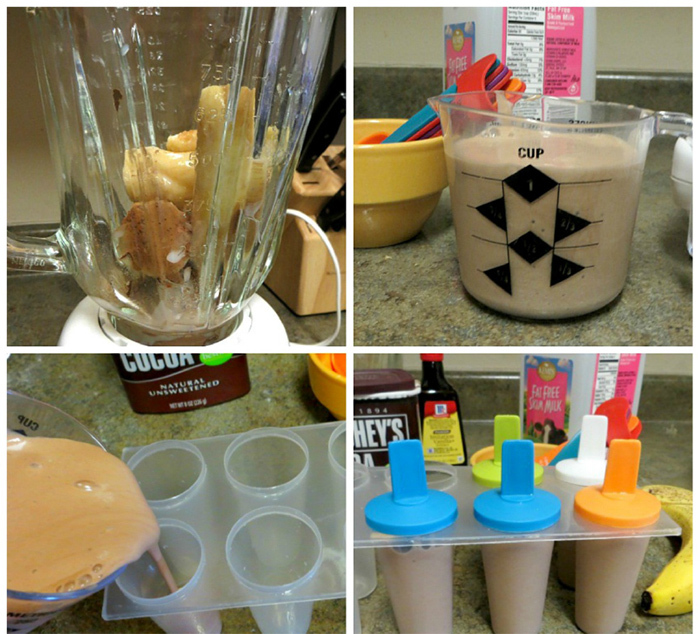 They feature frozen banana, unsweetened cocoa powder, vanilla and skim milk. They’re nutritious and easy to make AND they can satisfy even the most intense chocolate craving. 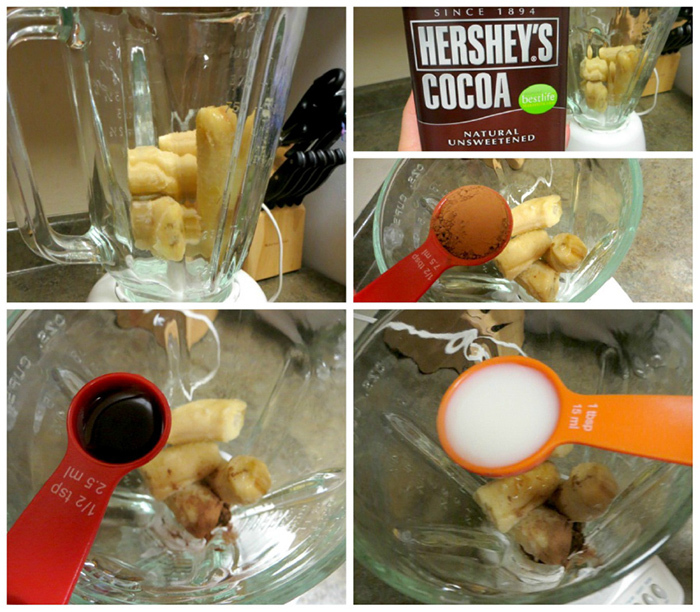 Just place chunks of 2 frozen bananas, 1/2 Tbsp. unsweetened cocoa powder, 1/2 tsp. Vanilla, and skim milk into a blender. Blend until well combined, adding milk as needed to thin the mixture. 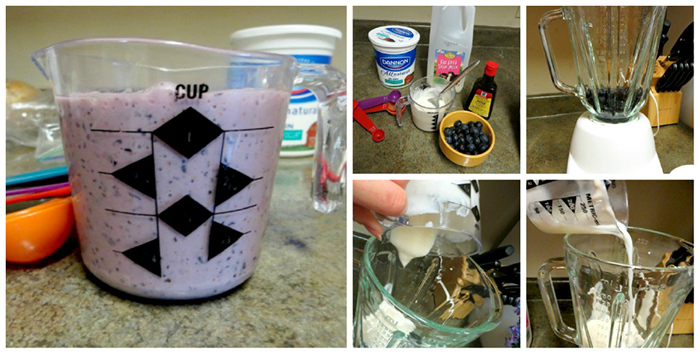 Transfer to a measuring cup for easy pouring! You could stop here and freeze the pops for at least 4 hours, but you also could also make some amazing pops featuring blueberries! You can do that by combining ½ cup plain nonfat yogurt, ½ cup skim milk, 1½ tsp. vanilla and 1 cup frozen blueberries. Pro tip: These blueberry pops are made even creamier by adding a single frozen banana to the mix. Fill the rest of the molds with the blueberry mixture and place in the freezer for at least 4 hours. To remove them from the mold, run hot water over the bottom of the mold to loosen them. And enjoy them quickly because they’ll be gone in a flash! 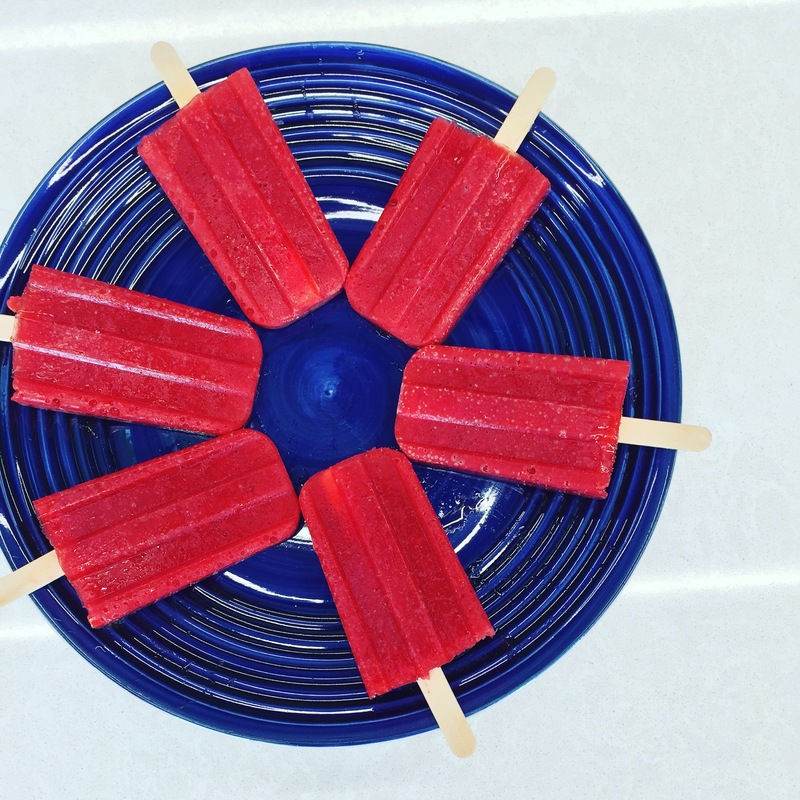 Please note, if you don’t have plastic Popsicle molds, you can certainly use small Dixie® cups with a Popsicle stick instead! 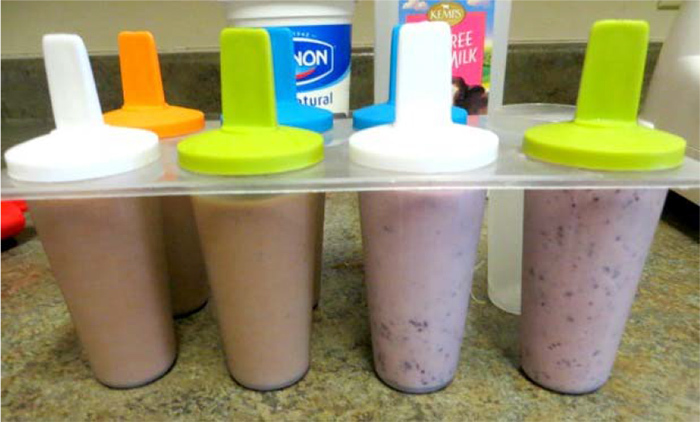 Combine all ingredients for your popsicle flavor of choice in a blender and pulse until smooth. Place in molds and freeze until solid, at least 4 hours.